Things didn’t go exactly as I’d expected at WWDC. I spent the week before the show at Computex, talking to PC OEMs, who had all just launched their Haswell ULT based Ultrabooks. With a couple of exceptions however, the bulk of Haswell ULT systems weren’t scheduled to ship until later this year. Even the Acer S7 I snagged while in Taipei was still a pre-production unit, with final hardware due out in the next month. Based on what I saw in Taiwan, and Intel having seeded me an Iris Pro machine the week before, I assumed that the MacBook Pro with Retina Display is what would get the Haswell treatment first. Obviously, that didn’t happen. In hindsight, the move makes sense. 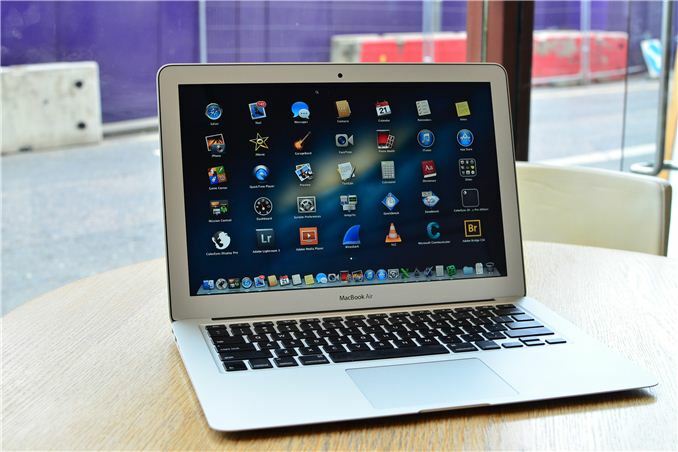 Apple will sell far more MacBook Airs than rMBPs. The Apple/Intel relationship is looking very healthy these days, so it’s also not surprising that it would have supply and early enough access to Haswell ULT to launch the MBAs at WWDC with almost immediate availability. The Haswell ULT shift didn’t require a new chassis for Apple, which meant a less complex development process. 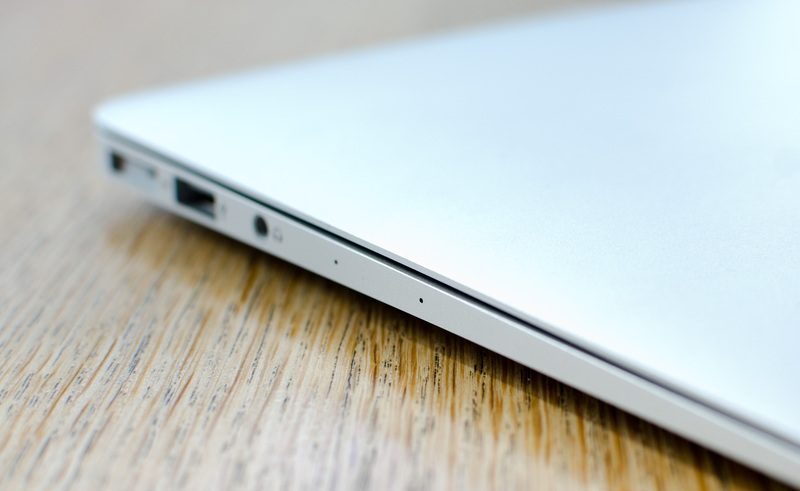 From the outside, the new MacBook Air looks nearly identical to its predecessor. There's a second mic opening on the left side of the machine now, but otherwise you'd be hard pressed to tell this year's model apart from the previous generation. Internally, nearly everything has changed. It's clear to me that the MBA is due for a more significant redesign, but this is not the year for that. We've been over the MacBook Air chassis thoroughly in the past so I won't go through it again here. Build quality remains excellent. The clickpad and backlit keyboard never give me any troubles either. It's sad that we're still having clickpad issues elsewhere in ultraportables but this is one area where Apple's vertically integrated advantage is apparent (as is the company's willingness to spend a little extra on even the little details). The only thing that hasn't changed, that perhaps should have is the display. The MacBook Air retains the same 1366 x 768/1440 x 900 panels from last year, while much of the competition has moved to at least 1080p IPS in the 13.3-inch form factor. This year at Computex we saw a number of systems move to 2560 x 1440 13.3-inch panels, at least as an option, however I'm expecting those systems to be priced more in line with the 13-inch rMBP rather than the MacBook Air. Admittedly, I don't know the right solution here.Ultra high resolution panels drive cost and power consumption up, the latter which can be offset by going to a larger battery - but then you have a 13-inch rMBP. Perhaps the right move for the MacBook Air would be for Apple to move to IPS panels at least? Or maybe we see a merger of the 13-inch MBA/rMBP, and something new entirely replace the 11-inch model.